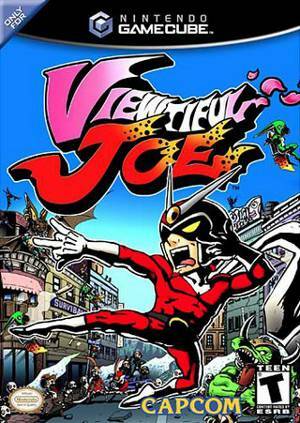 Viewtiful Joe concerns Joe, an avid movie-goer whose girlfriend Silvia is kidnapped during a film starring Joe's favorite superhero, Captain Blue. Joe is shortly thereafter thrust into Movieland, where Silvia is taken by the villainous group known as Jadow. After accepting a special V-Watch from Captain Blue, Joe transforms into the tokusatsu-style persona "Viewtiful Joe" and sets out to rescue her. If the External Frame Buffer is disabled, videos only show a black screen. RealXFB is set by default in the GameINI to avoid this, however the problem may still occur if you open the graphics configuration window and override the settings. RealXFB locks the game to 1x Native Internal Resolution only, so to improve graphics quality beyond 1x Native, the user will need to override the GameINI and deal with black videos. Fixed with Hybrid XFB in 5.0-5874. This code causes the VFX bar to render incorrectly. The graph below charts the compatibility with Viewtiful Joe since Dolphin's 2.0 release, listing revisions only where a compatibility change occurred. This page was last edited on 29 March 2018, at 01:40.